The Aluminum Natural Balance® Shoe is a wide-web, rolled toe shoe which offers maximum support to the hoof. The toe area on the foot side is seated out to eliminate sole contact beneath the tip of P-3. The toe portion of the shoe is reinforced and offers greater mass which means more material for wear. There is no wear plate in the shoe, therefore the toe can wear back as the foot grows in length. 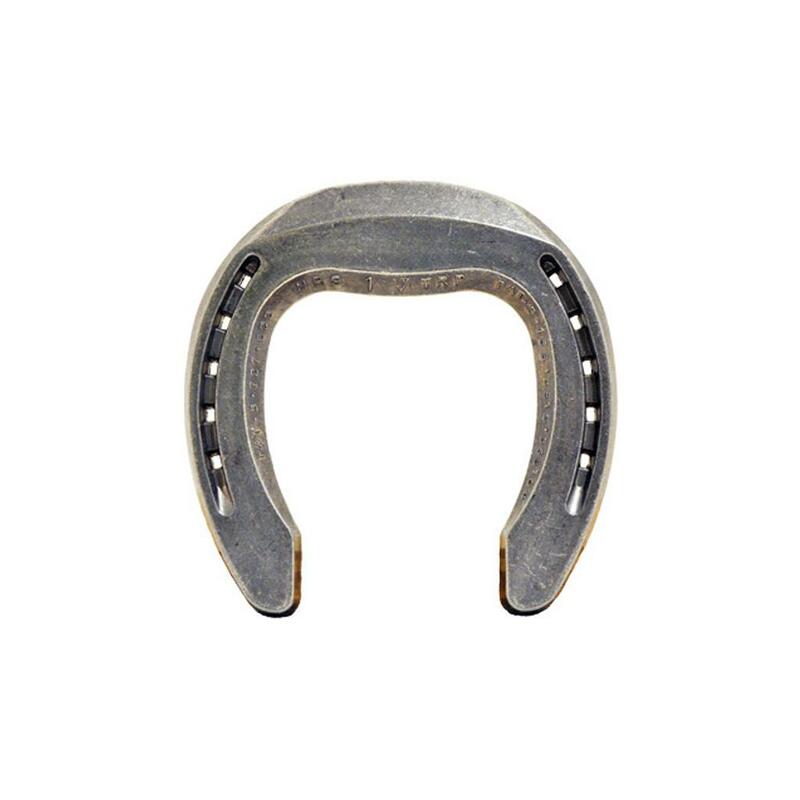 This allows the foot to stay in "Natural Balance" through the shoeing period.This feature sets the aluminum NBS aside from most steel shoes. The arched roll at the toe allows the horse easy access to his individual position for break over. The steep shoulders of the shoe between the heels help to hold ground material in this region to provide caudal support to the frog and digital cushion. The Aluminum NB shoe is made of a forged aluminum alloy that is heat treated for added hardness. This combination offers a light, yet durable shoe for optimal performance.